Learn to dance with passion and precision, as you move and sway to the rythym of the Argentine Tango at Danza Pasion! 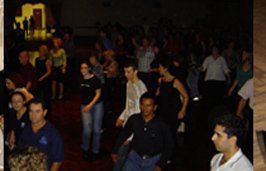 This unique dance, steeped in history and tradition, is not for the faint of heart, but for those who want to bring some excitement to the dancefloor. Our highly qualified instructors have decades of combined dance teaching experience. And our dedicated and friendly staff are passionate about dancing and are always eager to help students any way they can, and with heaps of our staff in every class, our students get the best teaching experience in Perth. 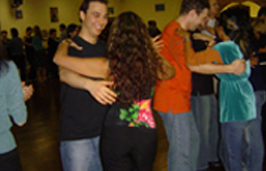 Argentine Tango is available at our studio in private lesson format. Private lessons are $90 per hour. The cost of the lesson can be split between 4 people if you want. 5 or more people we run as a private class, and is $25 per person, per class. Poised with as much drama as the importance of its timing, this dance has its origins in the Bohemian underworld of Victorian Paris. During the latter half of the 19th century (though many still argue the true exact date), the Tango made its way onto countless sea faring ships bound for Argentina through an eclectic mix of immigrants. Whereas these people brought great love affairs of European art across the Atlantic (such as opera), the Tango became the physical expression of this music combining the Parisian Tango dance and a new found genre of classical music. This new and uniquely Argentine music evokes very particular feelings compelling the true dancer to recount a story of love through the spectacular Tango. In this context, the Tango possesses a continual sense of profound occasion. Similarly, the Argentine Tango, although very technical, remains highly subjective in the interpretation of its timing. There are highs and lows, sometimes involving patterns of arrangement and sometimes being nothing short of erratic. A great key to both the listener and dancer alike is in the sensitivity of the music’s crescendos. Anticipating them requires a pure love, appreciation and adoration of the theatre that is Argentine Tango.